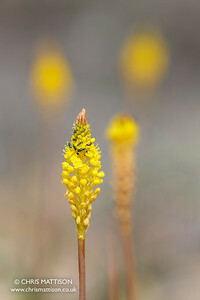 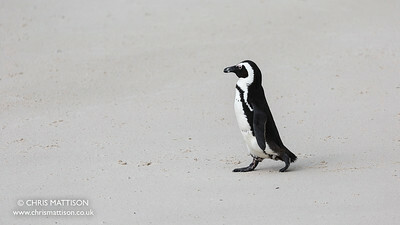 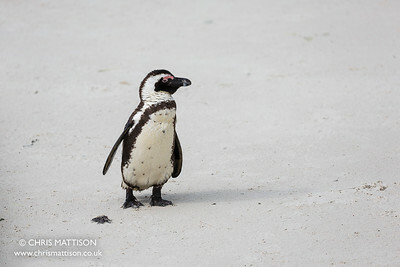 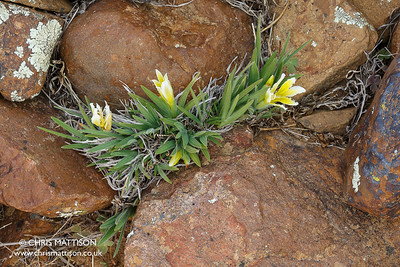 A selection of images taken on a South African journey from Cape Town, north to Namaqualand, and back, to find and photograph flowers and wildlife. 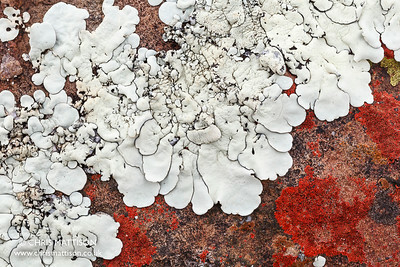 Grey and red lichen on rock, Nieuwoudtville, Northern Cape, South Africa. 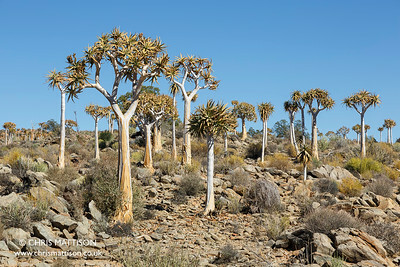 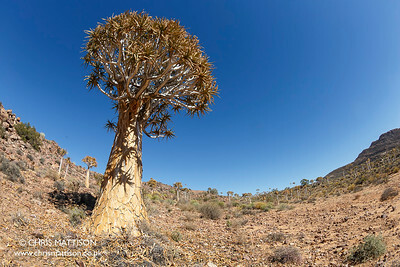 Kokerboom, or Quiver Trees, Aloidendron dichotomum (syn. 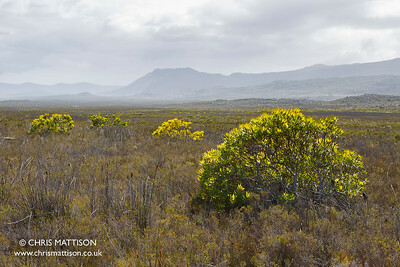 Aloe dicotoma) near Kamieskroon, Western Cape, South Africa. 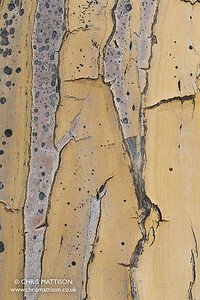 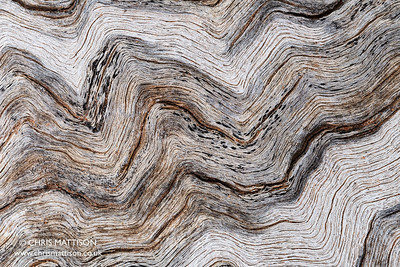 Bark of Kokerboom, or Quiver Tree, Aloidendron dichotomum, Western Cape, South Africa. 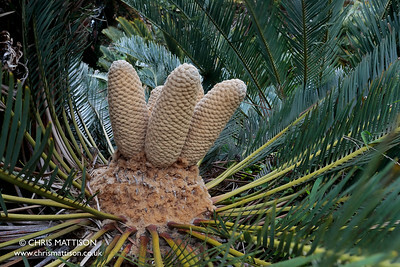 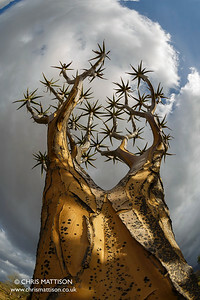 Previously known as Aloe dichotoma. 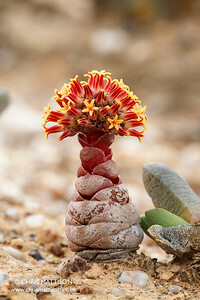 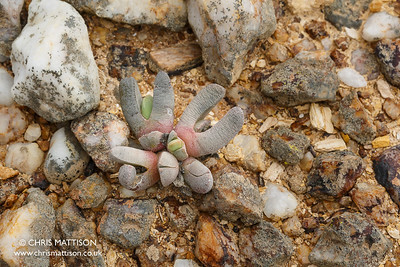 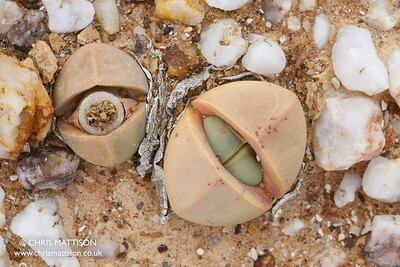 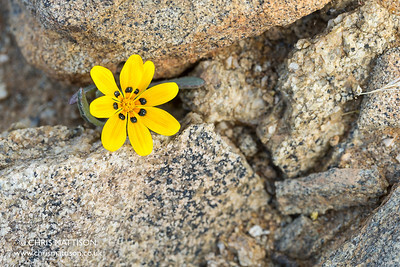 Argyroderma delaetii, also known as Bababoudjes (Babies' bottoms) growing among quartz pebbles in the Knersvlakte, Western Cape, South Africa, where it is endemic. 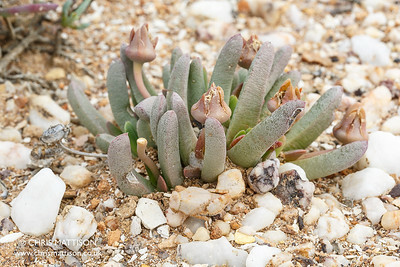 Crassula columnaris, subspecies prolifera, a leaf succulent from Namaqualand, South Africa. 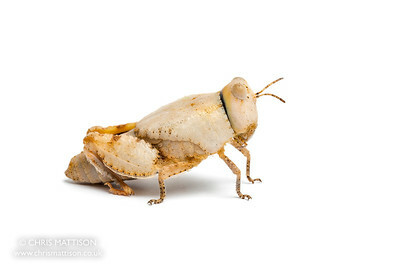 Toad Grasshopper, Trachypterella species, poss. 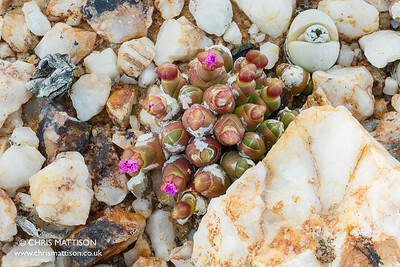 T. anderssonii, mimicking the quartz pebbles in the Knersvlakte Nature Reserve, Western Cape, South Africa. 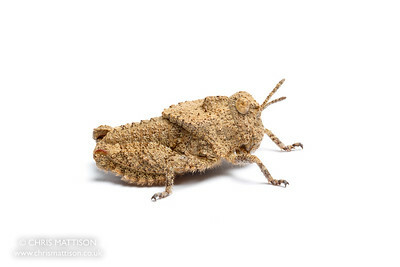 Toad Grasshopper, Trachypterella species, poss. 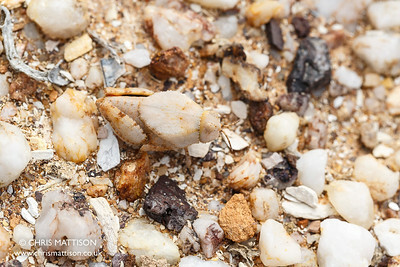 T. anderssonii, nymph, which mimics the quartz pebbles in the Knersvlakte Nature Reserve, Western Cape, South Africa.